The Theremin – The Sound of Beyond! 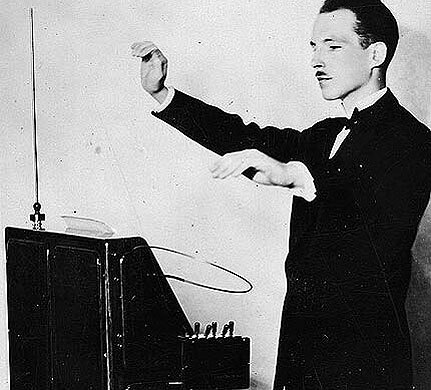 The theremin is an early electronic musical instrument, controlled without physical contact from the player. It was originally also known as the ætherphone, etherphone, thereminophone, termenvox or thereminvox. 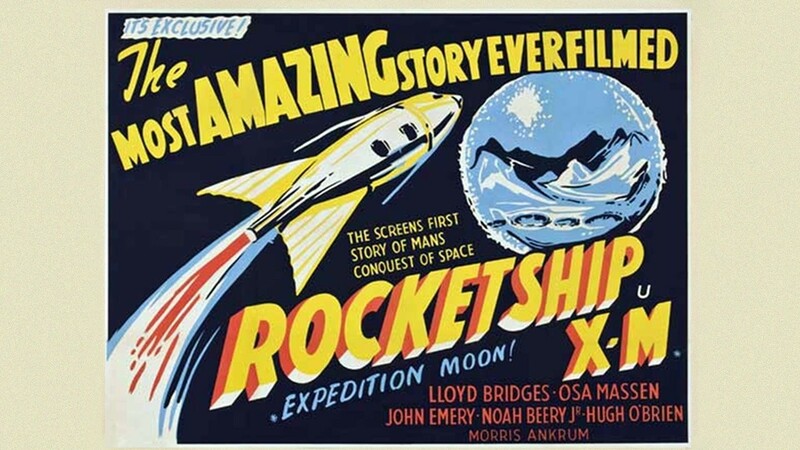 In the 1950s, the emergence of science fiction movies as mass entertainment gave film-makers and composers-for-film a fuller palette to play with than ever before, there were no boundaries in the genre, no rules and little precedent. Impressionism, polytonalism and experimentation with new instruments were possible now, though far too risky for existing film types. The sound of invaders from beyond is regularly represented by a theremin. Having failed to establish itself as a serious instrument, both due to the cost and availability of the instrument and, more especially, the fact that it was fiendishly difficult to play, it found it’s niche as the whirring, ethereal thrum of approaching flying saucers and barely believable beasts from the stars, first making it’s authenticated appearance in sci-fi films in 1950’s Rocketship X-M. Invented in 1920 by Russian physicist Lev Sergeivich Termen (Westernised to Leon Theremin) as a by-product of proximity sensor research, the instrument is not physically touched by the player, rather that the area around the two metal antennae is manipulated to create the required sound. The instrument emits an audio signal which the player can then control in two ways; with one hand controlling the pitch, with the other, the volume; with no notes, keys, frets or visible hints, the only way to get the sound you require is by adjusting your initial tone and through years of practice. For many years, the most efficient player was Theremin himself but in the 1930’s, New Yorker Samuel Hoffman moved from the violin to this new, space-age instrument and became the go-to man for film directors worldwide – not that there was much choice. From his contribution to Miklos Rosza’s Spellbound in 1945, he appeared on every notable usage of the instrument in film, mostly significantly in 1951’s The Day the Earth Stood Still, not so much ‘duelling banjos’ as ‘duelling theremins’. Played with real skill, the instrument closely resembles a female soprano and indeed it was often used in place of having to pay an actual singer – early films which feature an almost supernaturally high note from a wispy female singer are almost certainly not a human voice but the eardrum-threatening top note of a theremin. 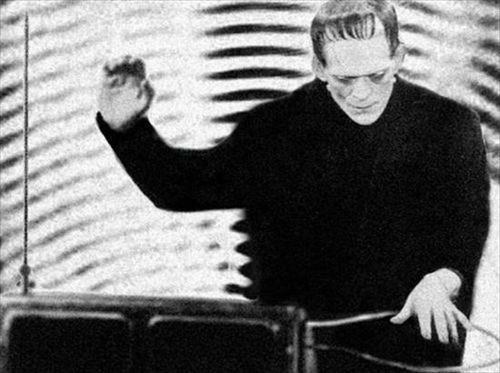 Although there are claims that theremins can be heard in the likes of Franz Waxman’s score to Bride of Frankenstein (and certainly modern interpretations of the score do), the original sound is far more likely to be that of the similarly strange ondes martenot, an electronic instrument invented in 1928. Though capturing the public’s consciousness and instinctively coming to represent anything and everything to do with space and aliens, they cared little for what or who made the noise and it became both clichéd and corny. Utilised again in the classic The Thing from Another World (1951), fellow countryman Dimitri Tiomkin creates almost vomit-inducing dread by having the soaring tones rising through the already ominous horns. It wasn’t until The Beach Boys used it on their classic 1966 song Good Vibrations that the public started to take it seriously again; it was also regularly used by Jimmy Page of Led Zeppelin in live shows throughout the 1970’s, whilst Jon Spencer of The Jon Spencer Blues explosion used it to spectacular effect during their 90’s live shows. Electrical instrumentation was inevitably used far more during the Fifties as they were the most obvious way of suggesting the future and progress. The sound of 1950’s horror now is the sound of a barely believable past, a time when hysterical mania got everyone from Elmer Bernstein pushed off major motion pictures and on to Cat Women of the Moon or Zero Mostel missing the entire decade through being blacklisted for his leftist political leanings. It’s portentous warnings now sound kitsch – for the millions of people living through the times it was quite different – it was the sound of a terrible, already lost future. The instrument is used by many psychedelic rock bands and by avant-garde composers due to the unpredictability and ethereal quality it brings. Ms Mohammed Grabs Year of the Femme by the Throat with Forthcoming Release, Pandora!